After releasing the first single “MAN MADE MACHINE” featuring Martin L. Gore by MOTOR we are very happy to announce the full MOTOR album release “MAN MADE MACHINE”, TODAY, April 18th on the brand new sub division of Chris Liebing’s Create Learn Realize label: CLR X! 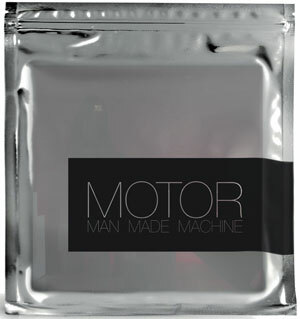 MOTOR have recorded a song based album with some of the most intriguing voices of the world of electronic music, such as Martin L. Gore, Gary Numan, Douglas McCarthy, Billie Ray Martin and Reni Lane and deliver the perfect soundtrack for all those who are in love with electronic music. MOTOR´s influences reach from Synth Pop, Dance, EBM to Electro Clash, without ever watering down the powerful essence of this pioneering act. MAN MADE MACHINE is a unique and haunting album full of dark and melodic songs that you should definitely pay attention to. 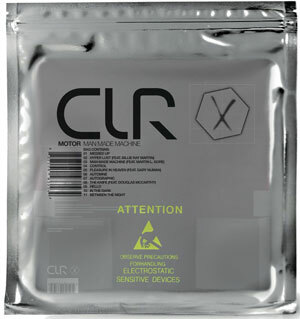 Martin L. Gore mixed the CLR podcast in 12/2011 – incl. the Black Asteriod remix.